If you’re reading this, chances are you’re an AVD student at Cranfield uni! Firstly, congrats! You’re doing a great job, so keep it up! If you’re not an AVD student at Cranfield uni, you might feel lost reading this article. Essentially: At Cranfield University, there’s a course called MSc Aerospace Vehicle Design (AVD), where many students (up to 120) from all over the world design an aircraft in partial fulfilment of their MSc degree. This so called ‘group design project’ lasts up to 8 months and gives students hands-on experience in a downscaled ‘simulated working environment’ of how the aircraft design process works. At the end of the project, a panel of up to 60 professionals from the worldwide aerospace industry are invited to a Critical Design Review (CDR) to see the students’ work and provide feedback, and at this CDR, the students ‘show off their design’ using two videos that they need to create on their own. From hereon the article is written in first person, addressing AVD students. The purpose of this post is to serve as an initial guide for the planning of marketing videos for your project. Usually, you’ll need to generate videos for the critical design review (CDR) which is at the end of your GDP. When should you start? I would suggest you start right after PDR. What should you start with? The best way to start is to create a storyboard for your videos. Usually one of the videos requires much more effort than the other. As an example, consider the videos that the March 2015 intake created for the Cranfield E-15 Peregrine business jet. Video 1 was the marketing video, exhibiting the features relevant to consumers, whereas video 2 was a technical video showing the structural design, airframe systems and avionics boxes in the aircraft. Storyboarding can be done very easily with Microsoft PowerPoint. All you need to do is to setup a couple of slides, each with scenes that you want in the video, such that you can create these scenes and record or render them accordingly. Here’s the storyboard of the E-15 Peregrine. X-Plane 10 Flight Simulator/ Game Creation of flight simulation video. Takeoff, landing, maneouvres, sound effects. CATIA V5 CAD/CAE 3D modelling, aircraft image rendering, cabin video rendering. 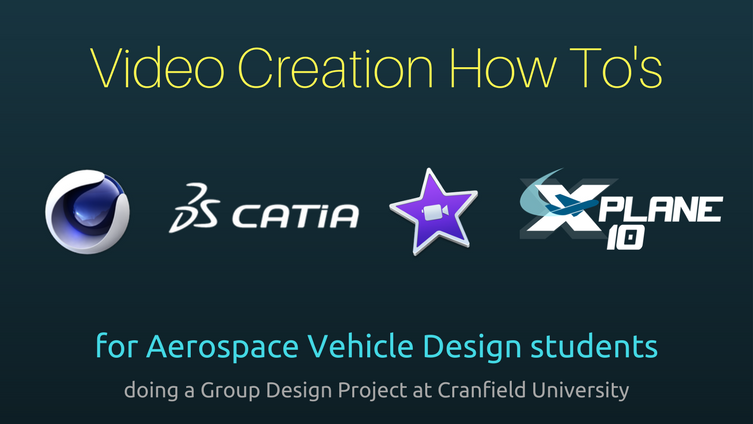 Cinema 4D Animation/ 3D modelling Creation of animated videos using the aircraft digital mockup from CATIA. Apple iMovie Video editing Video mastering, adding music, sound effects, transitions, titles etc. The initial idea is that you would model the aircraft in X-Plane by either creating a new aircraft model from scratch, or, by modifying an existing aircraft. How to decide? Well if your GDP aircraft is a novel concept, it probably makes more sense to model it in X-Plane from scratch, but if your aircraft is an incremental design of an existing family of commercial aircraft (such as the E-15 was to the Dassault Falcon 7X) you could look for an existing X-Plane model and modify it (using AC3D). When your model is ready, you setup the scenes that you want, elect a pilot among your colleagues and make him fly the plane in the way that you want it. Then you save the flight as a replay. Lastly, you start a screen recording, open the replay and then work your magic with the camera/ views using keyboard shortcuts. Before you know it, you have recorded several scenes of flight, which you can then throw into iMovie,cut/paste, speed up/down, add/remove sound, add music, add transitions, add titles and you’ve got part of your flight sim video. If you’re like me, you’d use a super high spec laptop and tune the graphics options to maximum in order to get all the possible shadows, reflections, scenery and a great frame rate for realism. For the cabin rendering though, you would have to use CATIA, which is a bit of a painful process. It takes a lot of time, effort and overall “fiddling with” to make all the lights and cameras work the way you want them to. Finally, it takes ages to have it render as well. Next up, Cinema 4D is used for the technical video. You will need your split up your CATIA model into a couple of STL files and import each of them into Cinema 4D. The reason for splitting it up is so that you can colour/ texture each component (i.e. 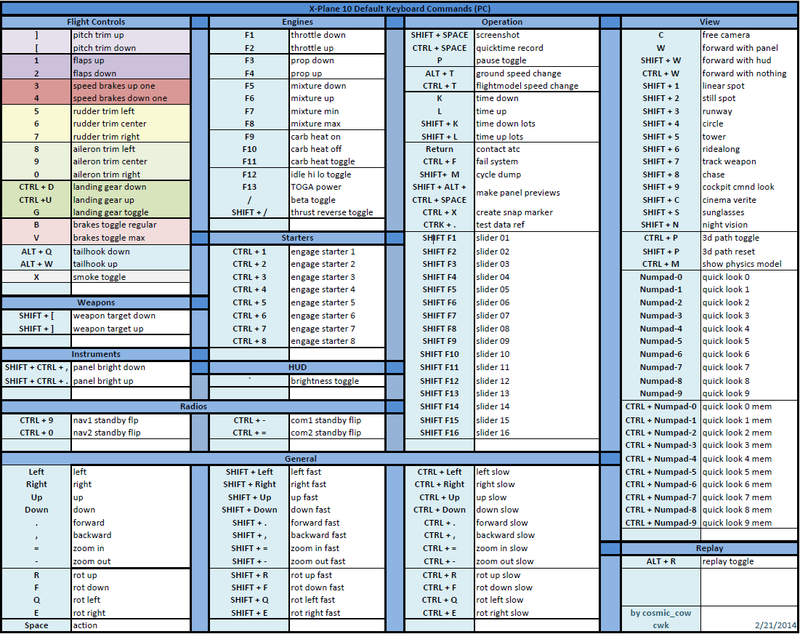 each STL file). For the E-15 we split up the structure into composite structure, metallic structure, landing gear (for steel appearance) and tyres (rubber) and coloured them accordingly in Cinema 4D. We did the same for each airframe system. The October ’14 intake guys made a helpful tutorial for Cinema 4D. They also made their flight sim scenes in Cinema 4D, but personally I would recommend X-Plane for realism and less effort. Shout out to Gregory WILKIE and Florian ABRIBAT for this! Tip: You can split up the model by simply hiding/showing relevant parts and exporting as STL. Also, there isn’t a ‘save as STL’ option when you’re using a .CATProduct, instead you have to save your product as a part followed by exporting to STL. When you’re ready with all your STLs that comprise of your entire aircraft, you can import them into Cinema 4D. Make sure you scale them down to 1/1000th of their actual size, otherwise your PC will cry, the program will hang and you will pull out your hair. Once imported, apply your textures, setup your camera, your camera trail/ path, render settings, timings and hit render. Voila! You’re got yourself a (part) technical video. Tip: When rendering scenes in both Cinema 4D and CATIA, the output will be in the form of pictures (unless otherwise specified). On Mac, you could use iMovie to create a “photo slideshow” from these rendered images, with each picture set to show for 1 second. Then you can quickly calculate 30 FPS and speed up the video in iMovie to get a proper video without flickering frames. Lastly, in iMovie, you could put together all your video scenes, speed up or slow them down as required, add sound effects, increase/ reduce video sound levels, crop the videos as required, add colour effects and much much more. Here’s an iMovie tutorial for beginners. Of course, don’t forget to add titles. Unfortunately there aren’t many templates for titles, but, you can use a “green screen” to do that and other nice effects as well. Here’s how you would go about that. This is how we did most of our titles in Video 1 and the on-board WIFI stuff. I know this is a short and not very detailed tutorial but I hope that it’s still of use to you at least as a starting point! Should you have any questions/ comments/ suggestions, feel free to contact me and I will get back to you ASAP. Meanwhile, don’t forget, Google is your best friend, alongside YouTube. You’ll find loads of tutorials online for Cinema 4D, iMovie, CATIA and X-Plane. Good luck, video and marketing team!